Valve has released an app to keep players in the loop with Dota games that also allows them to bet on matches. Dota Pro Circuit, available for Android and iOS, keeps fans up to date on matches, results, teams and player profiles. Users can also opt to have push notifications enabled, allowing them to stay instantly up-to-date with as many matches as they please on-the-go. What’s more, Valve is allowing players to place bets on their predictions of match outcomes. The function isn’t like other game based betting applications, however. Dota Pro Circuit only allows players to deal in Dota Plus Shards, which can then be spent on exclusive in-game rewards, such as cosmetic changes and access to in-game events. The slight catch is that Dota Pro Circuit is only available if you’re a subscriber to Dota Plus, which requires a rolling monthly subscription. Still, place your bets right and you could soon be rolling in a virtual pile of Dota Plus Shards to spend on whatever you please (in-game, of course). Dota Pro Circuit comes as Valve’s equivalent of Blizzard’s Esports application, which allows players to keep in touch with Starcraft, Hearthstone and World of Warcraft eSporting events. 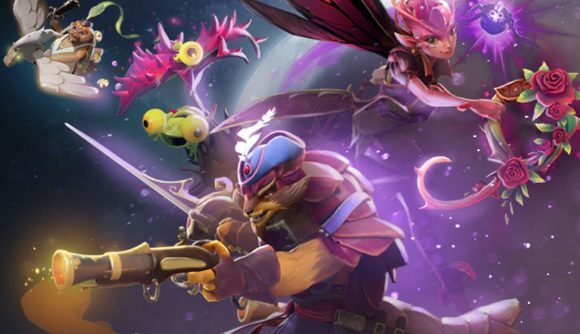 Read more: Check out the best Dota 2 heroes for beginners. The app comes at an odd time after the anticipated release of Dota Auto Chess on mobile, a high fantasy tabletop chess-based simulator. Developer Drodo Studios dropped Dota from its mobile branding and marketing to simply become Auto Chess, sharing similarity in art-style but not in characters or setting.